Take off with "Dinah" and "Babs"
The long-range Ki-46 reconnaissance aircraft was designed by Mitsubishi to replace the single-engine Ki-15. 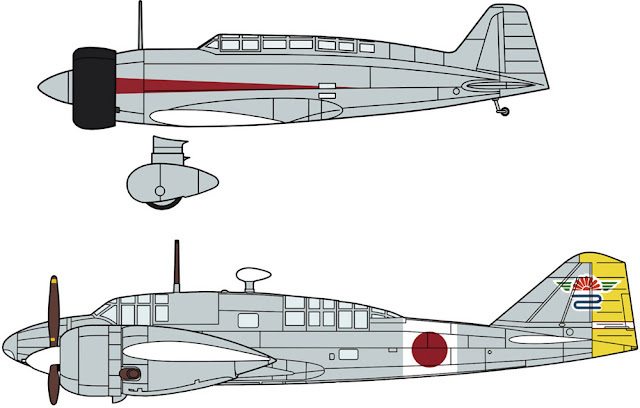 The popular Ki-46 III variant was powered by twin, fuel-injected Ha-112 engines and featured a new canopy and a fuel tank positioned ahead of the pilot. This limited edition kit combo features a Ki15-I with one marking option and a Ki46-II/III with two marking options.